It’s time of year where we’re going to celebrate Halloween, if eco-friendly is part of your daily routine, you might want to checkout our tips to celebrate this special day in a greener way. Halloween costumes play the biggest part in celebrating this special day, however, it doesn’t mean you have to buy a new one each year. You can host your own costume swap, trade costumes with your family and friends or create a new one from old clothes. You can add some accessories here and there from yard sales or resale stores. We believe Halloween costumes should be spooky and fun, not necessarily fashionable. 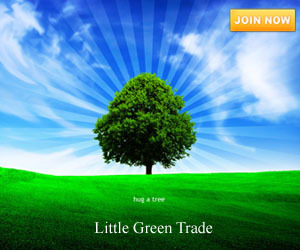 Instead of buying mass produced candies and chocolates, why not choose organic ones. 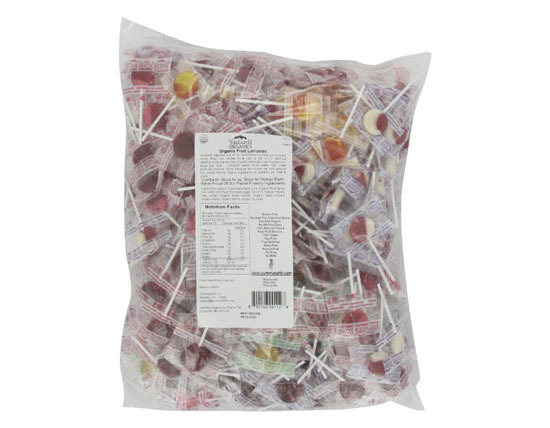 One of great brands we recommend is Yummy Earth Organic Lollipops, a company founded by two dads who wanted only healthy, dye free candies for their kids. We highly recommend that you make your own treats, they would be healthier such as homemade caramel apple pops (Lilyshop.com), boo-berry bats (Bittersweetblog.com), or homemade kitkat bars (Milkandmode.com). Halloween is not completed without pumpkins. 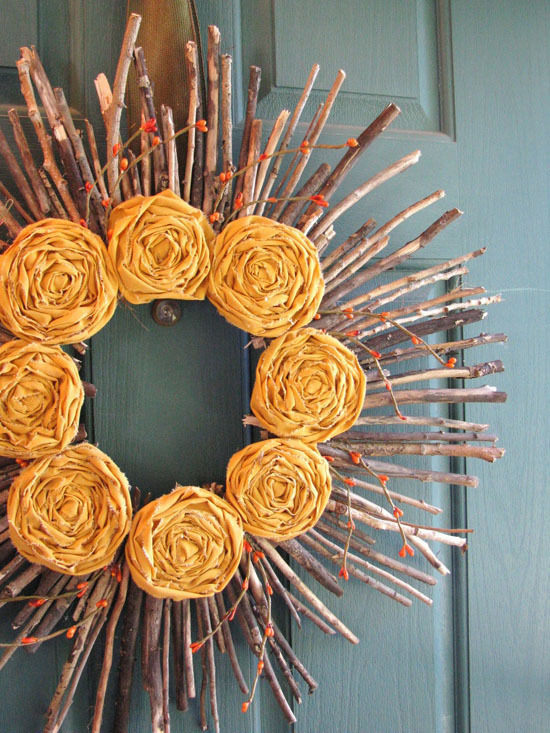 You can carve them and use them as decoration or make pumpkin pies out of them. 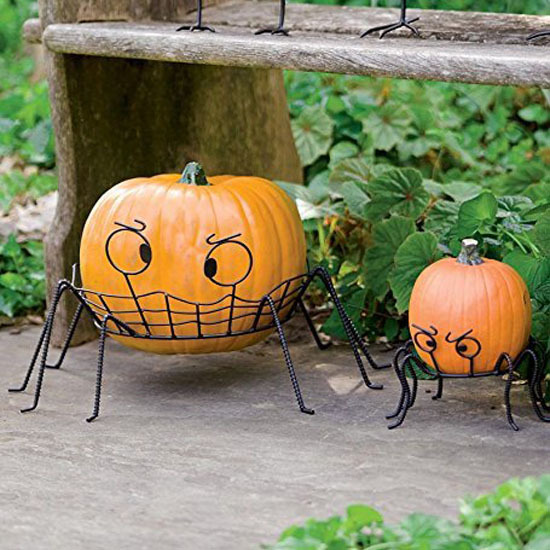 Just in case you prefer not to carve them, you can still use them as decoration thanks to these cute pumpkin stands. 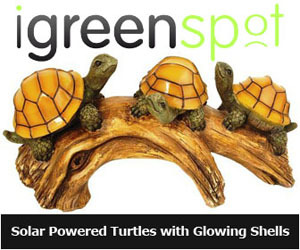 Decorate your house with energy saving lights, and of course these lights can be re-used for Christmas as well. 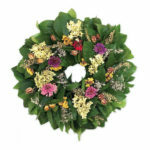 You can wrap them around door frame or around the stairs. 5. Halloween Coir Doormat to welcome your guests. 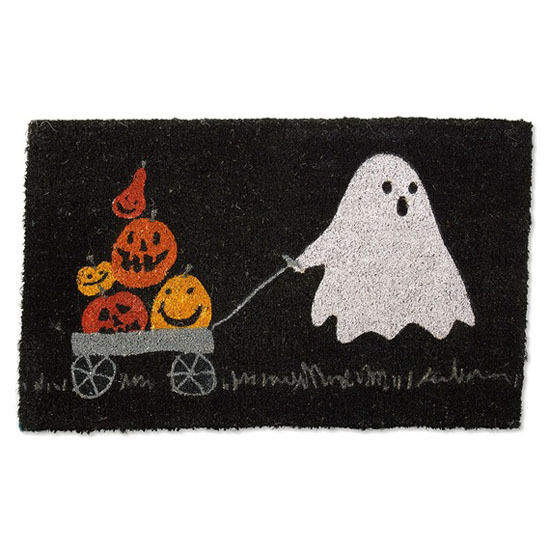 If you plan to replace your standard doormat into something more suitable for the party, we recommend this cute Coir Halloween Parade Doormat. Made of sustainable coir, it’s great for scraping dirty shoes on the front stoop. When there’s a candy collector that needs another bag, you can give them a cute reusable bag where children would love to use it again and again. 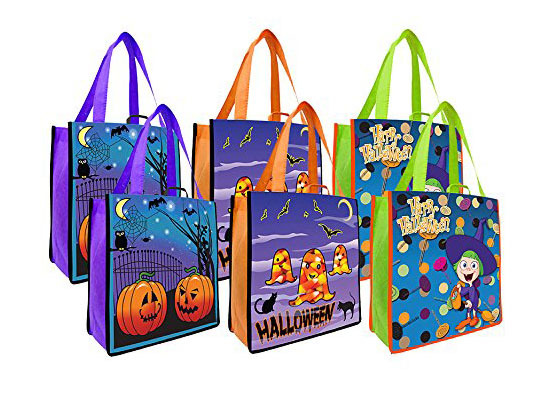 We find this Earthwise Halloween reusable shopping bags come with affordable price. They are recyclable and reusable. 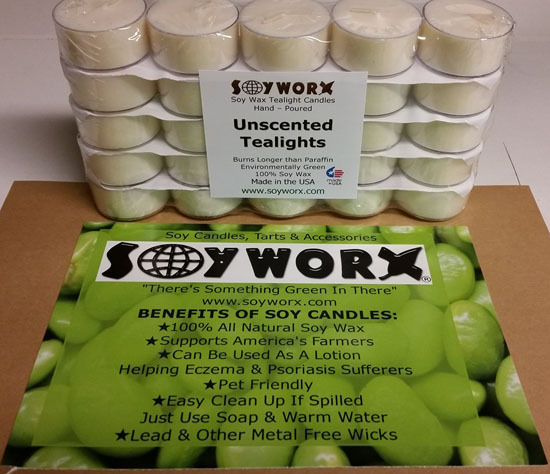 Just in case you need to use candles inside those pumpkins, you can use those soy candles or beeswax candles. These type of candles won’t release harmful toxins like those paraffin candles. You can host a small party pre-Halloween where kids and parents can create their own Halloween décor. 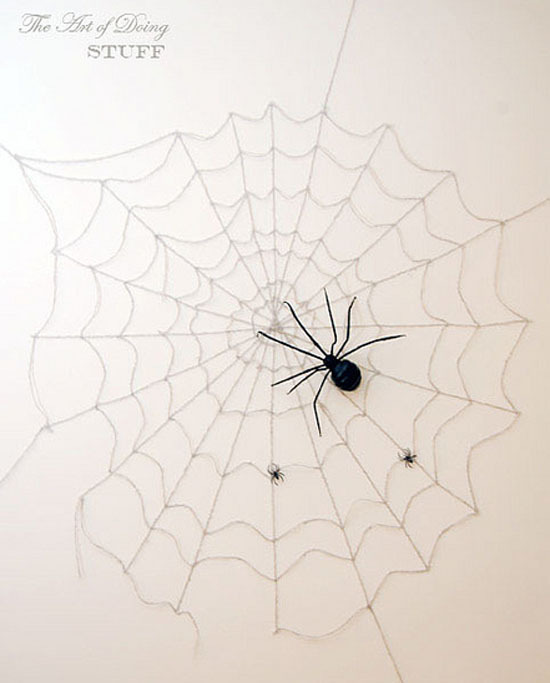 Children can create paper spiders or paint unused plant pots, old glass jars can also be transformed into spooky lanterns, even wall spider web can also be made out of yarn and two way tape (theartofdoingstuff.com). 10. There’s always next year. Once the Halloween is over, don’t throw everything away just yet, you can keep lights, costumes, treat bags, and homemade decorations for next year. You might gather more ideas from past projects, you don’t have to start from scratch. Mac O Lantern : Happy Halloween !